g other codes stored in the memory. lso boasts a “downcounter” allowing select codes to have a limited number of uses. 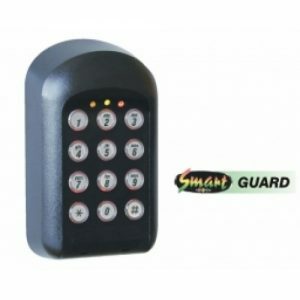 This is ideal for granting single occasion access, for example to an armed response company with the code deleting itself after use. The addition of the Centurion “SmartSwitch” maximises security and ensures that even with the keypad mounted outside the property, it cannot be “hotwired” and the integrity of the site jeopardised.